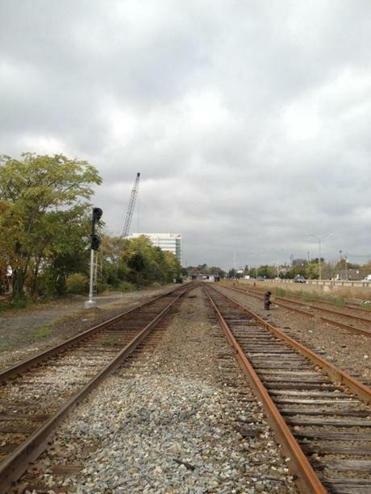 New Balance is footing the $14 million to $16 million bill to build a commuter rail stop in Brighton, along the Framingham/Worcester line. It won’t be called the New Balance stop nor will it be used exclusively by its employees, but the Boston sneaker company is footing the $14 million to $16 million bill to build a new commuter rail station in Brighton. Someone other than taxpayers funding a transportation project? Not a pipe dream, but something Boston mayoral candidates John Connolly and Marty Walsh say they would push for under their administrations. During their debate this week, Connolly cited the New Balance stop as a model for transit funding, and Walsh said he would also lean on the business community to pay for transportation projects. Companies typically balk at extra expenses, but if they can improve commutes, they will gladly shell out money. Getting employees to and from work without it being a nightmare is critical to attracting and retaining the best talent. And it’s clear, after the recent wrangling over transportation funding on Beacon Hill, that the state doesn’t have enough money — and won’t for a while — to adequately fund transportation needs. Hessan, for example, said her company would pay for a direct bus service to carry commuters between North and South stations. Other companies in the Financial District and the South Boston Waterfront run private shuttles, but Communispace, even though it has 500 employees, can’t afford such a service. Businesses are used to picking up transportation costs, subsidizing employee T and rail passes and spending millions of dollars annually operating private shuttles throughout the city. In the Longwood area, for instance, about 12,000 workers each day use a network of 40 buses on nine routes run by MASCO, a nonprofit set up to serve the transit needs of nearly two dozen hospitals and colleges. Developers traditionally have paid for certain improvements associated with their projects, usually roads, sidewalks, and sewer lines, but now they see the benefit of funding transit. New Balance sits off the Mass. Pike in Brighton, adjacent to tracks used by commuter trains. The company, which has about 500 employees at its headquarters, has long thought about adding a mass transit component. The Allston-Brighton area used to have three commuter rail stops, but they were shuttered when the Pike came in. When New Balance decided to build a $500 million, mega-development featuring a new headquarters, an athletic complex, hotel, and stores, the company also pursued a rail stop. The state had looked into bringing commuter rail back to the area, but it was put on the back burner until New Balance offered to help. New Balance will design and build the station under MBTA supervision, and pay for maintenance costs for a decade. 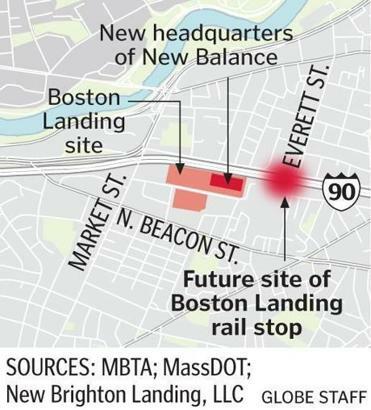 The stop, which will be called Boston Landing, after the new development — now underway — is expected to open in a couple years. Setting up a special tax district is another way to spread costs around. Boston, for example, could charge higher property taxes in the Seaport District, designating a portion of that money to fight congestion. It’s a concept officials are studying across Massachusetts, and something building owners could get behind. If it’s convenient to get in and out of the neighborhood, everybody’s property values go up. But depending on the private sector to fund public transit can be risky. Suddenly you have corporate interests influencing which projects should get the go-ahead because they have money behind them. When it comes to finding ways to fund transportation, we should start taking the road less traveled. We might get somewhere a lot faster.